A lot can happen in just a short time. I recall sharing the sentiment that this year has been a busy one for me, with all the tournaments and sponsor obligations. However busy the time between January and September may have seemed, it wasn�t anything compared to the last couple of months. I�m not complaining, though � not for one second � because the reason for this hectic travel schedule is a brand new labor of love that I have recently been honored to work on called Sweetwater. Sweetwater (another term for freshwater) is a new fishing show that I, along with my friend Joey Nania, are hosting. It will begin airing in January on NBC Sports, Sportsman Channel and Destination America. The exciting process of the show�s development has been keeping me a busy man, and with my recent move back to California I have been treading a lot of road. Though I haven�t been able to say much about Sweetwater in the past few months, now that filming for the first season has concluded, I think it�s time to fill you in. 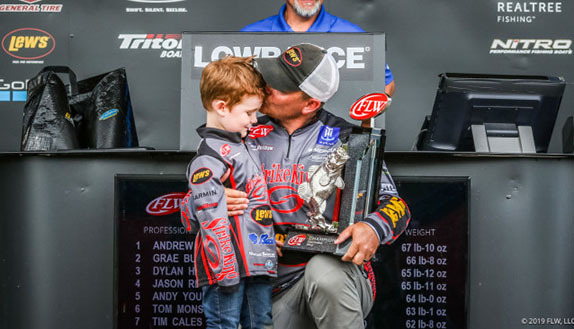 You'd think that if there's a possibility that you could be hired to host a nationally televised fishing show, it might be a lengthy process for everything to come together� if, in fact, you're lucky for things actually to come together. At least that�s what I would have thought. In the case of Sweetwater, it came about fairly swiftly. 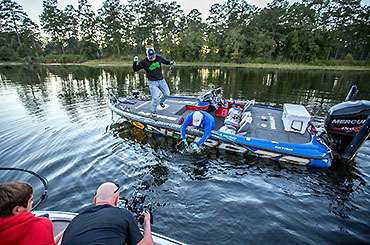 Filming for the first season of Sweetwater saw the hosts fishing for a variety of species � including bass. I was in California with my fianc�e, Katie, when I received an email from Tom Rowland, one of the hosts of the popular fishing show Saltwater Experience, which simply said that he may have an opportunity for me and he would like to speak with me further about it. Since I haven�t had TV for almost a decade, I really hadn�t been in touch with recent television shows, so honestly I really didn�t know much about Tom. But I knew of him. All the same, I promptly emailed him back, not knowing what to expect. It wasn�t long before I received a reply, followed by a quick phone call, which was still pretty vague as far as what the opportunity was, but we set a date to meet in person to talk about it more. I ended up meeting Tom on Lake Guntersville on July 2. During a short day of fishing, Tom finally ended up telling me about his company, SE Multimedia, and its interest in creating a freshwater fishing show that shared the same dual-host platform as its other shows, Saltwater Experience and Into The Blue. I left that short, informal meeting on the water with tempered optimism. Right before ICAST came around, only a couple weeks after that initial meeting, I got the word that the show was a go and that I would be joined by my good friend Joey Nania as a host. Since that day, the creation of Sweetwater has been a case of constant motion � and it�s been a blast! Joey and I have traveled to some of the most exciting freshwater fishing locations and have had some unbelievable days on the water. 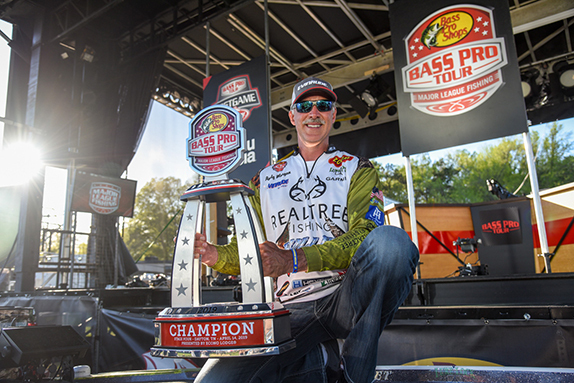 One of my favorite aspects of the show is that we don�t always fish just for bass. We've fished for everything from the exotic to the powerful and some others in between. Also, being able to experience these great fishing opportunities with a friend like Joey has made the whole process a very enjoyable one, which is actually what Sweetwater is all about. We're pretty much finished with the first season and I'm really looking forward to seeing where we go next year and what kind of fishing we get to do. I�ve been extremely fortunate over the last couple years to finally be able to make my entire living in the sport of fishing. It�s been a long road to get to this point and it is very humbling to have such great opportunities come my way. Some of the opportunities I�ve been presented with have been short-term, while others have lasted a long time, and Sweetwater is going to be a project I hope to enjoy for many years to come. I never really saw myself as a regular host of a fishing show. 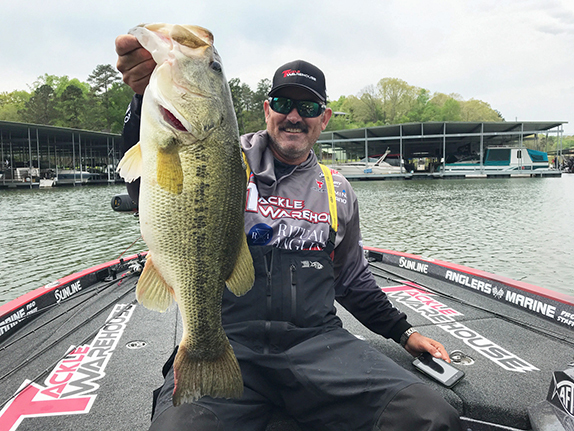 In fact, I remember saying that I had no interest in being on television outside of tournament coverage, but after my work with the Oakley Big Bass Tour�s show I was hoping another opportunity to get in front of the camera would come my way. Though tournament fishing is still my greatest passion, I've recognized an appetite within me for sharing my fishing experiences with other people through television. This is just the beginning of what I believe will be years of great fishing experiences and I look forward to sharing them with everyone on Sweetwater! (Miles "Sonar" Burghoff is a graduate of the University of Central Florida and an aspiring tour pro. To visit his website, click here. You can also visit him on Facebook and Twitter.